'Snow blasted tree' by Jill Hancock. A beautiful photo of a hardy trees in the Vic High Country was won the March photo comp. The theme was 'black and white' and this beautifully delicate photo met the brief. Jill Hancock of Baranduda, Vic, takes home an Osprey day pack thanks to our good friends at Outdoor Agencies. Jill takes five with Great Walks. How did you get the winning shot? We went on an overnight ski to Edmondson's Hut on the Bogong High Plains. It lightly snowed overnight and I caught this beautiful tree on the way out. What's the walking like where you were? The Bogong High Plains is a fantastic place for walking with so many walks of all different standards and picturesque snowgums and wildflowers in summer. 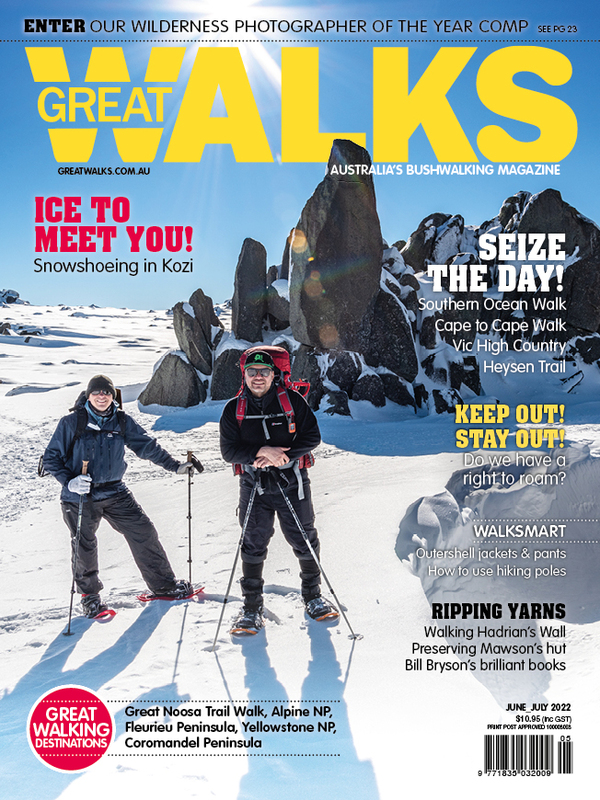 What's your earliest bushwalking memory? My parents took us on an overnight hike to Wilson's Promontory lighthouse and we were very under prepared. We ended up staying in a cottage with one of the families and what could have been a disaster turned out well. Who is your favourite hiking buddy and why? My husband because he's always happy to come on the walks I plan. What's on your hiking bucket list? A few small overnight walks and lots of day walks as we head around Australia and then walking to Macchu Pichu in Peru. Make sure you all enter this month's comp. The theme is 'Reflections in Nature', Click here to enter.